Gilded Moon Framing, founded in 2004, is located in an early 1900’s bank building overlooking the historic village of Millerton, New York. We support many local community causes and are a family owned and operated custom picture frame shop. All work is done on site and customers are welcome to see our framing production area. Our clients have come to expect the most up-to-date techniques, materials, and technology available in custom picture framing. Whenever possible we reuse, repurpose, recycle, and donate leftover materials from our work. In addition, always striving for the best for our customers, the entire staff at Gilded Moon Framing regularly attends training sessions with industry leaders to keep abreast on how to best handle your fine art. 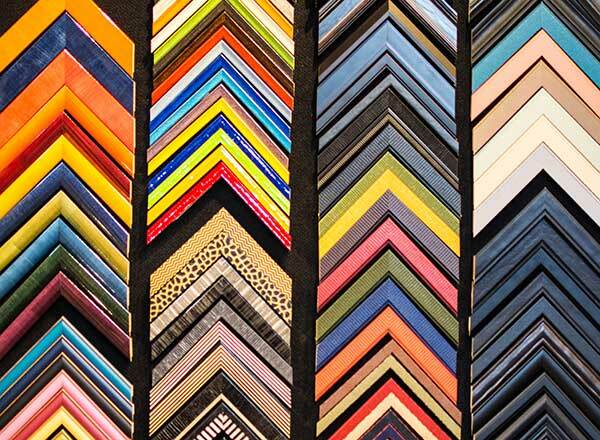 We value your business and hope we may continue to provide your framing needs!